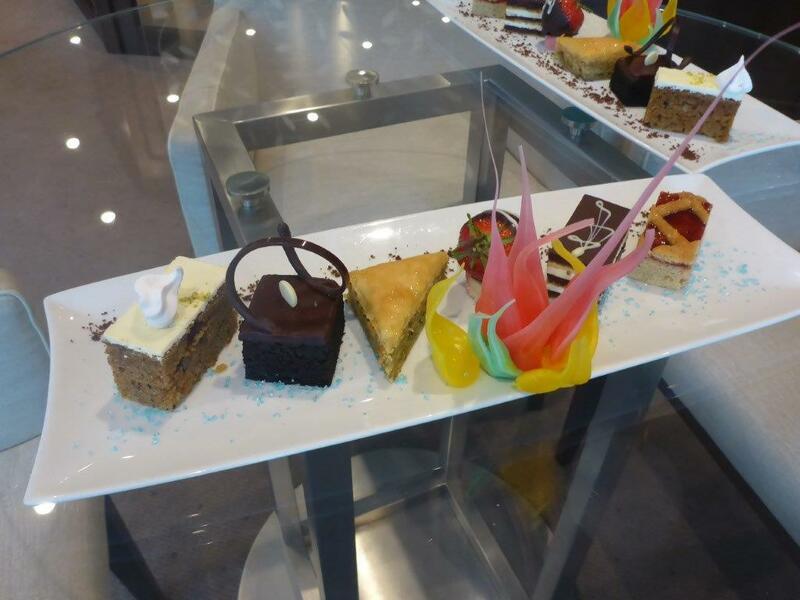 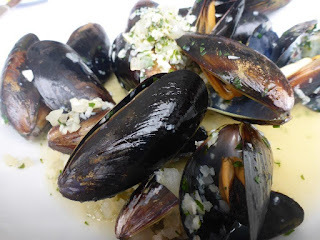 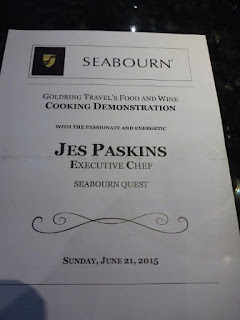 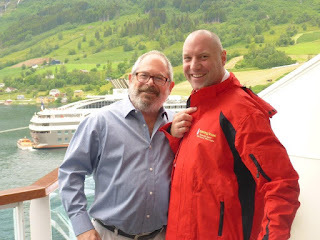 With two days at sea there was still much to do not only with the 2015 Goldring Travel Culinary & Cultural (formerly Food & Wine) Cruise, but out an about on the Seabourn Quest. 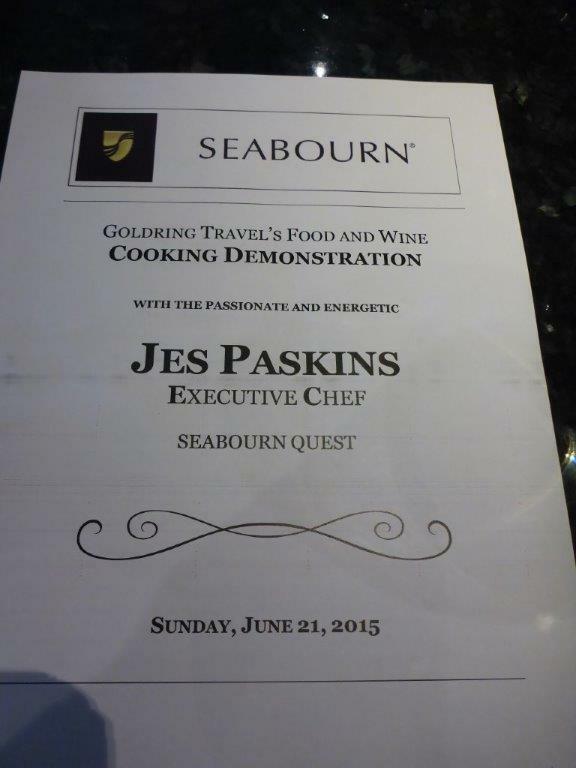 One of those things that kept me busy was a Private Cooking Demonstration by Chef Jes Paskins. 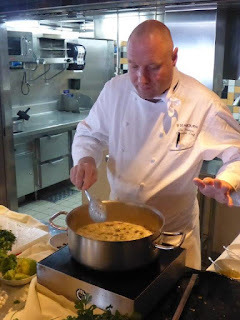 With his “normal” enthusiasm, the Chef made an “amazing” Tom Kah Gai; a wonderfully spicy chicken, coconut Galangal Thai soup. 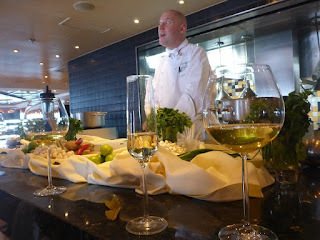 With champagne during the demonstration and a wonderful Hofstatter Gewürztraminer paired with the finished product, it was a real treat. 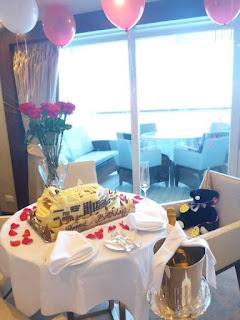 That evening I had a bit of a surprise for Diane, as her birthday was coming up; nothing special really…until Seabourn got involved. 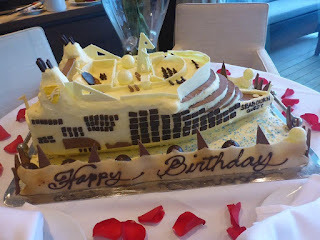 All I did was ask if they could make a cake shaped like a ship; meaning a sheet cake, of course. After planning it for three days simple flowers, champagne and a cake turned into this! A birthday cake that only Seabourn would create! 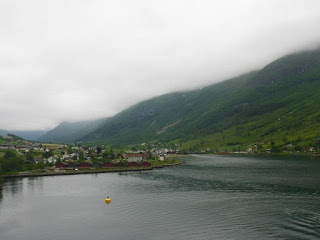 We awoke to a picturesque view of the end of the fjord and the charming village of Olden. 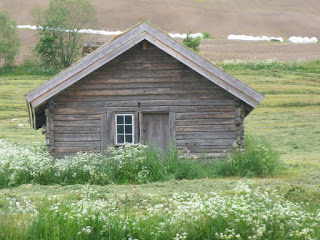 The clouds hung overhead, but with the sunlight peeking through just enough to make the wildflowers and red buildings pop out of the lush green landscape. The temperature was a comfortable cool. 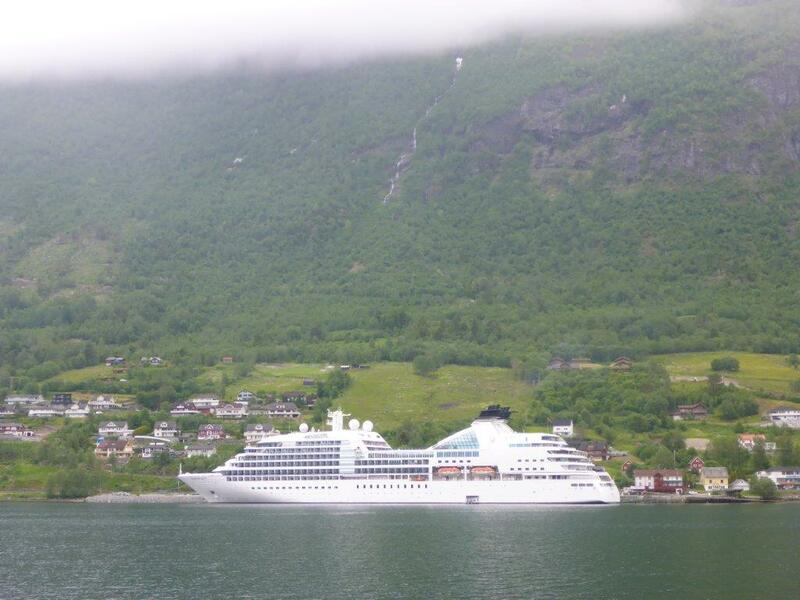 Now for the rain to hold off and the temperatures to rise just a bit the event could be just as I envisioned. 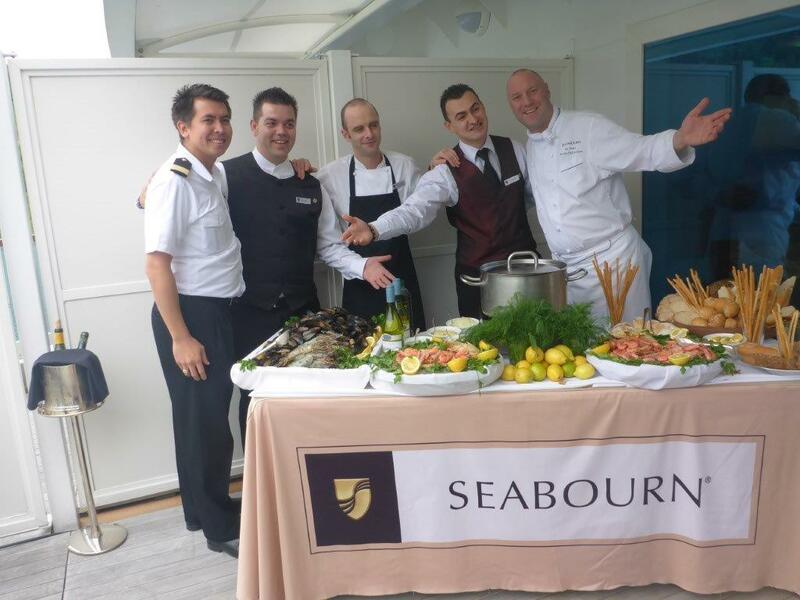 It was then back to the suite to see Chef Jes and his staff putting together a bit of Seabourn magic. 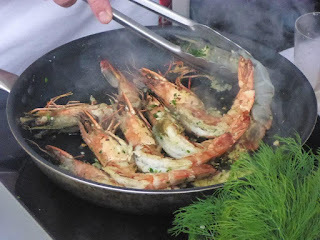 and finally some of those famous Seabourn giant Nigerian prawns finished with more garlic paired with one of my favorite wines, a Chateauneuf du Pape Blanc. 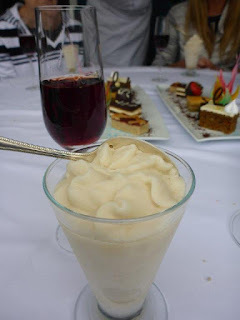 And, of course, there was dessert paired with a tawny port! 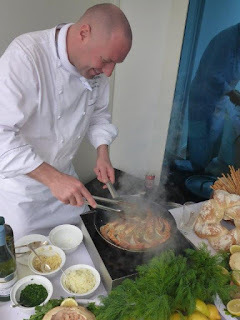 But Chef Jes not being done: A Suprise! He had made an incredible beer sorbet from some of the Mack beer from Tromso, Norway that I brought back to the Seabourn Quest. Now that is what a great chef does: He wins you over, then amazes you, then blows your mind...and then POW! 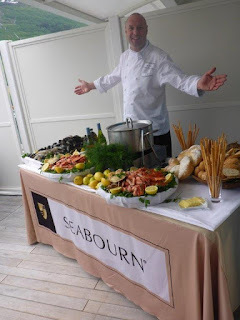 This was followed by a nice, but chilly, Officers on Deck Epicurean Event. 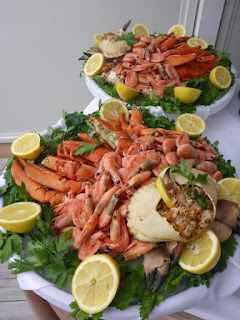 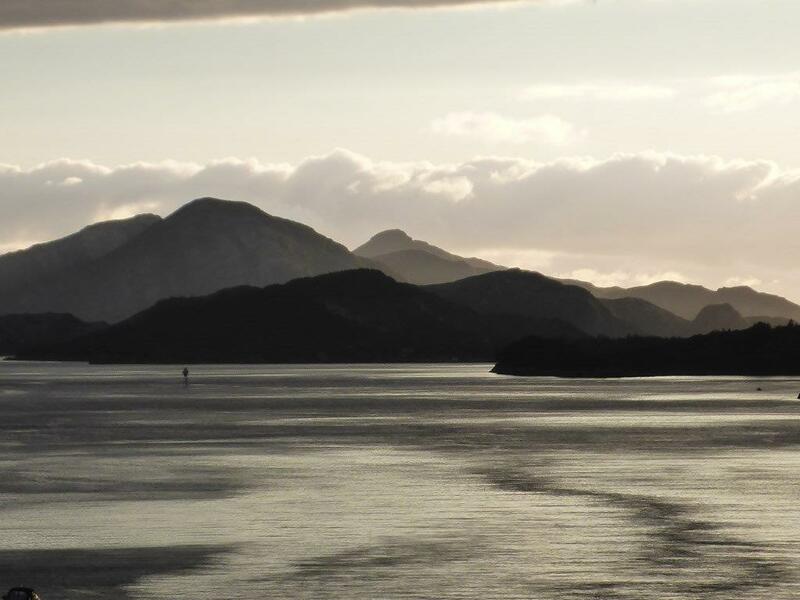 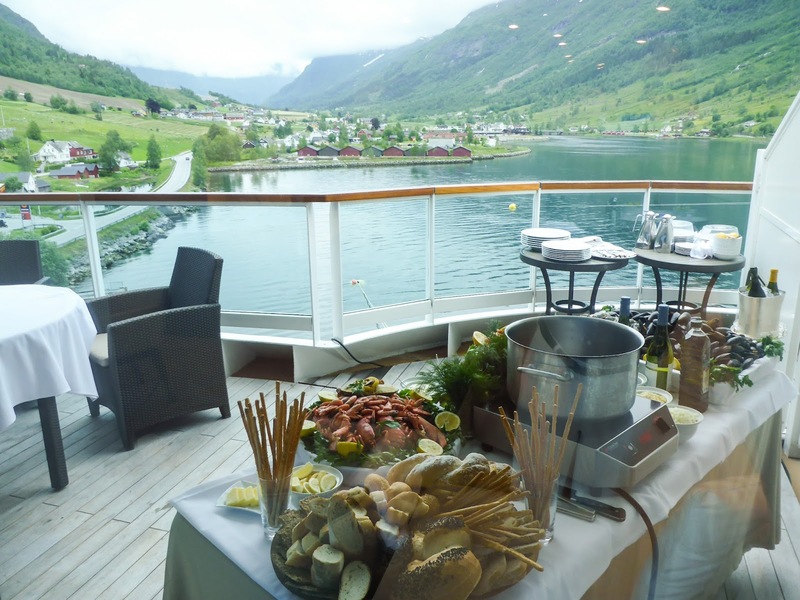 But to be honest, we were all so full that the cold weather served as a wonderful excuse not to linger but to enjoy the Seabourn Quest sailing through the Norwegian fjords.